Roots Music: The Berlin School of Electronic Music – Part 1. From Berlin to America. Roots Music is an ongoing series where we attempt to trace the influence of certain music genres and instruments. In this two-part opener, we’ll first trace how the Berlin School of Electronic Music began, and eventually (in the second part) how its innovations have left their mark on current electronic dance music. 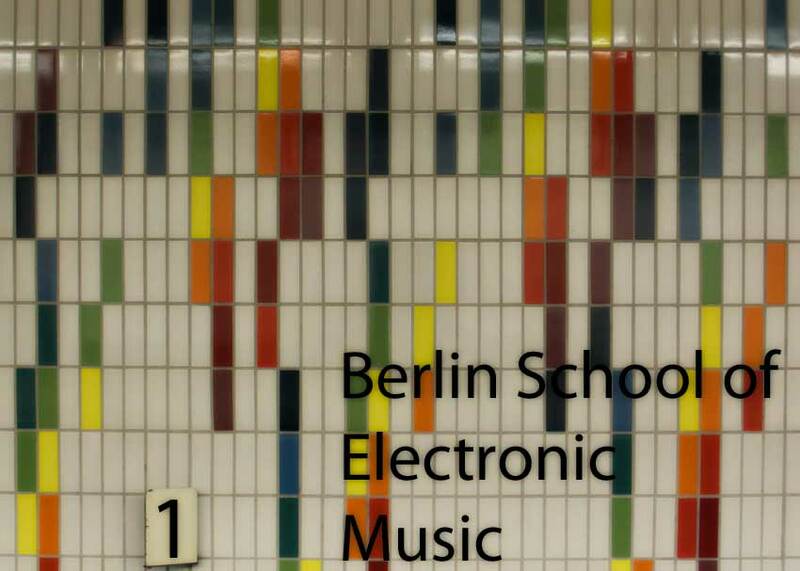 What exactly is the Berlin School of Electronic Music? In the early ’70s a group of musicians based in West Berlin, Germany came together by creating a style of music driven almost entirely by electronic instruments and sequencers. Their main tools at the beginning were analog modular synthesizers. As technology evolved, compact lead keyboards, and advanced analog drum machines were added into the mix. It’s when you hear their music that a distinct sound comes into shape. For me, it’s a sound that’s inherently repetitive and electronic, and in a way trance-inducing; one that catches you off-guard with its inhuman humanity (if I can be granted artistic license to phrase it that way). Meditative, mysterious, exhilarating, and danceable, Berlin’s sound can be all of that and more. It’s a sound that would intrigue many and eventually would revolutionize other forms of electronic music. What’s interesting about Berlin’s electronic music, is how the creation of sequencers and, to some extent drum machines, truly drove the medium forward. 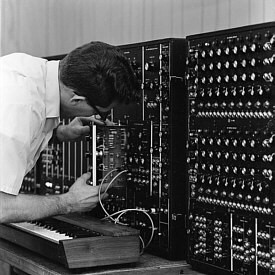 Modular synth testing at Moog’s original factory. At the turn end of the ’60s you’d be hard-pressed to hear a Moog on any popular European music recordings. The Moog Modular Synthesizer, where whole cabinets or modules were dedicated to controlling a specific aspect of sound, was going through its growing pains. In the eyes of many musicians, Mellotrons and organs were where it was at. A Mellotron would let you strike a note to recreate specific sounds like horns, flutes, and violins, for example. That’s perfectly fine if you love those sounds…but what if you want to create unique sounds? Well, a Farfisa organ would allow you to use sliders and a rotating speaker to manipulate its sound. It wasn’t synthesis per se, but it was close enough. So, what did the modular synth provide that these didn’t? Those were some of the reasons only three existed in all of Europe. The Stones and The Beatles, to give you some perspective, were among the select few who could even think about owning one. 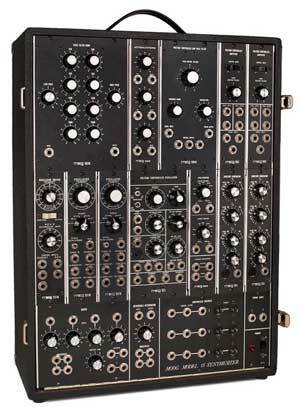 Too costly for nearly anyone to own, too large to take out of the studio, and not as musical and intuitive for most musicians to contemplate using, it was hard to justify an investment in a Moog synthesizer. In 1968, an unlikely code was introduced to decipher what would shortly lead to the synth to overtake both the Farfisa and Mellotron. When Moog introduced the 960 sequencer module, it signaled a transition in the way we could perform music. German musician Florian Fricke realized the potential of that module. It’s at the heart of this music. That’s where we’ll begin. Don’t know what an analog sequencer is? Click here to find out. You’re free to skip that section if you know how they work, but starting from it, or coming back to it, will help you better understand what comes next. Music like this deserves something that captures the feeling those creating it had. My hope is that as you scroll through the timeline, in a way you’re viewing how a sequencer functions. Periods in time show you the length of historical sequence, while rows on the left signal what type of events are occurring in the timeline. As you click through, left or right, you’re cycling through noted events. You can use your mouse to scroll left and right to pick up exactly where you want to as well. Zoom buttons let you adjust the spacing between events. Simple, right? Explorers: Musicians who took work pioneered by others and tried to expand it further. Instruments: Key devices that changed some course of musical history. Music: Outsiders that signaled some kind of transition to a different type of music. 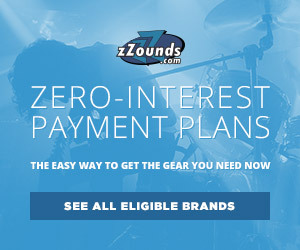 Pioneers: Musicians who were the first to do something musically important. Places: Sites or areas where important events that shaped musical history occurred. Settlers: Musicians who largely came late to the party but added something unique to the equation. 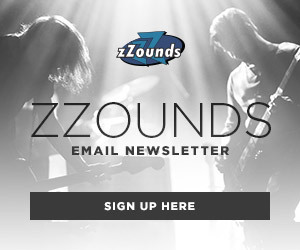 zZounds & QSC Present Battle of the Bands! Great job! There’s a huge need to tell the Berlin School story.